Philip Clark graduated from the Guildhall School of Music and Drama in London where his teachers included Nannie Jamieson, Peter Schidlof, Max Rostal, the Amadeus Quartet, William Pleeth and Emanuel Hurwitz. He has performed with many distinguished ensembles including the London Symphony, the Royal Philharmonic, the English Chamber Orchestra, Scottish Opera and the Menuhin Festival. As a soloist and string quartet player, he has played in more than thirty countries. He has broadcast with the BBC and other European stations, the Australian and New Zealand Broadcasting Corporations and played before the Queens of England and Holland. Mr. Clark taught at the Universities of Edinburgh and Lancaster in the U.K., Auckland in New Zealand, and Kent State. He was also a professor of Violin and Viola at Ithaca College in New York where he was president of the String Teachers Association. He now lives and teaches in Ivy, Virginia. 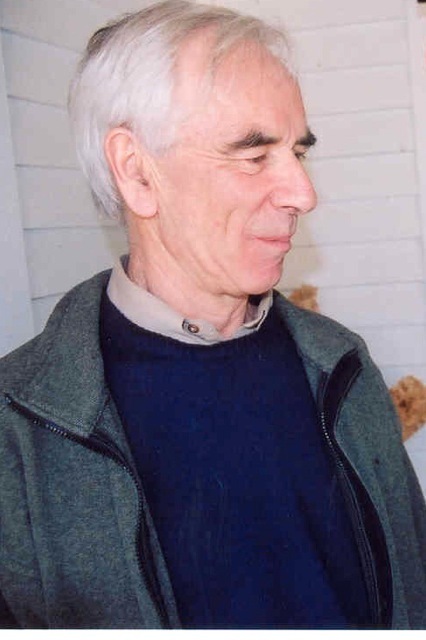 His many compositions and arrangements are published by Latham Music. Worked with William Walton, Benjamin Britten, Pablo Casals, Mstislav Rostropovich among many other distinguished artists. Violist and professor with the Edinburgh Quartet at the University of Edinburgh, Scotland, with the Sartori Quartet at the University of Lancaster, England, the Auckland String Quartet at the University of Auckland in New Zealand, and Accordo Perfetto Piano Quartet at Ithaca College, New York. Performed internationally with the London Symphony, Royal Philharmonic, Royal Scottish National, Richmond Symphony, English Chamber and Menuhin Festival, English National Opera, Scottish Opera, and Glimmerglass Opera Orchestras among many others. Performed all 83 Quartets by Haydn, and all of the chamber works of Beethoven, Mozart, Schubert, Brahms and Bartok. Performed for Royal Family at Windsor Castle for State Visits. I went to school in Gloucester in 1955-60 with Rosalind Thomas who I believe married a Philip Clark. who was in the London Philharmonic Orchestra. Do I have the right Philip Clark? If it’s possible I would love to make contact with Rosalind again. So excited to hear from you. Will be in touch tomorrow. I am not sure whether you would remember me but I used to be your sister’s friend and once stayed with your family in Edinburgh and went to a see the Amadeus quarter with Catherine and your mum! must have been about 10 at the time! I have retired from my Child Psychiatry post and am still playing my fiddle in the Exeter Music Group Symphony Orchestra . We have recently appointed a new conductor Leo Geyher who is very keen on new compositions as well as composing himself. Would be great to hear from you if you have a sec and would also be great to catch up with Catherine! Hello. I’m Steven, and I accompanied students sometimes at Ithaca college when I was in grad school. I enjoy playing the piano with you coaching. I now accompany students in a music program for highschoolers in Indiana. I ran across one of your arrangements today and I thought of you.